The state of Kentucky has many small cities and towns with historic downtown cores that retain a high degree of integrity. Economic revitalization of these downtown areas is the goal of several statewide programs. 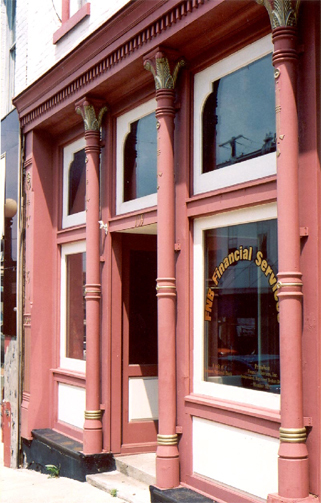 The Kentucky Façade Guidelines were developed to assist local communities by demonstrating how historic commercial buildings can be featured elements of the revitalization strategy. The Kentucky Façade Guidelines provide an overview of the historical development of commercial architecture within the state. Guidelines for the maintenance, repair, and restoration of historic building features assist owners, designers, contractors, Main Street managers, and local officials in preserving and enhancing the character of their communities. The guidelines include background information on materials conservation that explains the science behind rehabilitation recommendations.